Decay: 3. (When there are three cards on this event, destroy it.) 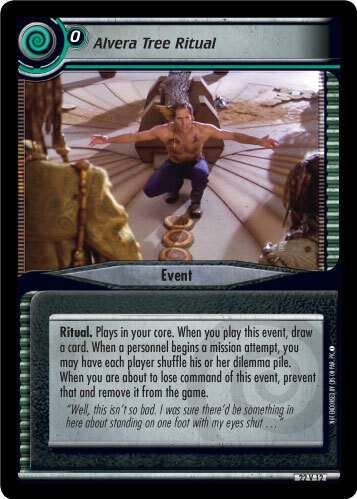 To play this event, you must command six personnel. Plays in your core. 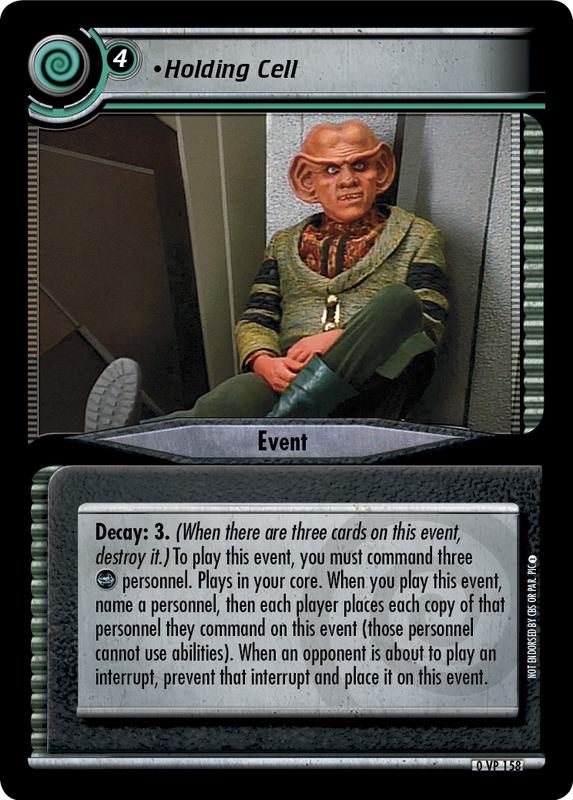 When you play this event, name a personnel, then each player places each copy of that personnel they command on this event (those personnel cannot use abilities). 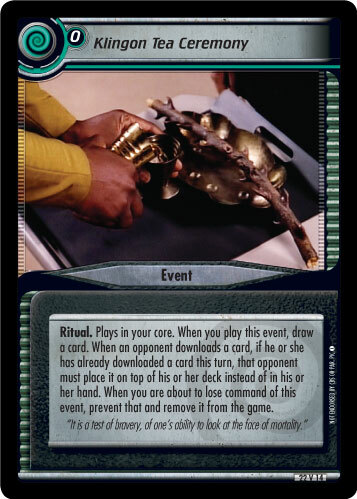 When an opponent is about to play an interrupt, prevent that interrupt and place it on this event. 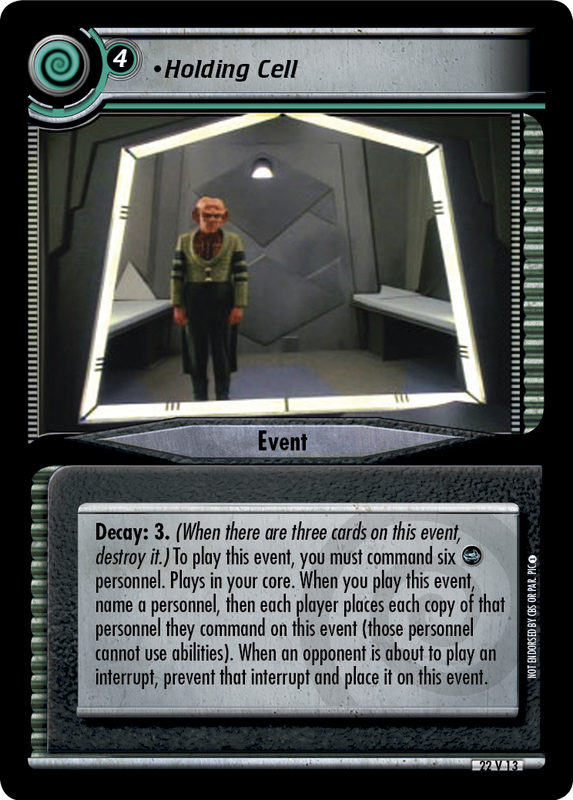 Errata'd on 2015-04-06: There have been concerns about this card being seen in too many different decks, so this card now requires six Deep Space Nine personnel to play, rather than the previous three.